Synthesizing and properly visualizing data in 2D systems is a key issue when aiming at explaining spatial patterns by spatial processes. 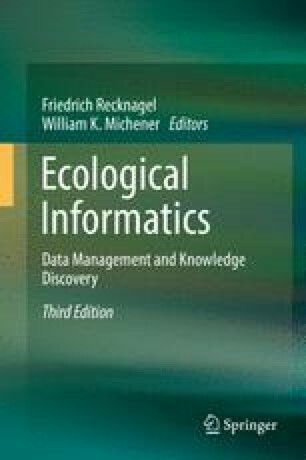 In this chapter we address the topics synthesis and visualization in relation to following ecological issues: (1) synthesizing species distribution models relying on virtual species, (2) visualizing spatial uncertainty in species distribution based on cartograms, (3) fuzzy methods to synthesize species distribution uncertainty, (4) remote sensing data synthesis by exploratory analysis and replotting data in new systems, (5) measuring and visualizing ecological diversity from space based on generalized entropy, and (6) neutral landscape for testing ecological theories. We will make use of examples from the free and open source software GRASS GIS and R.